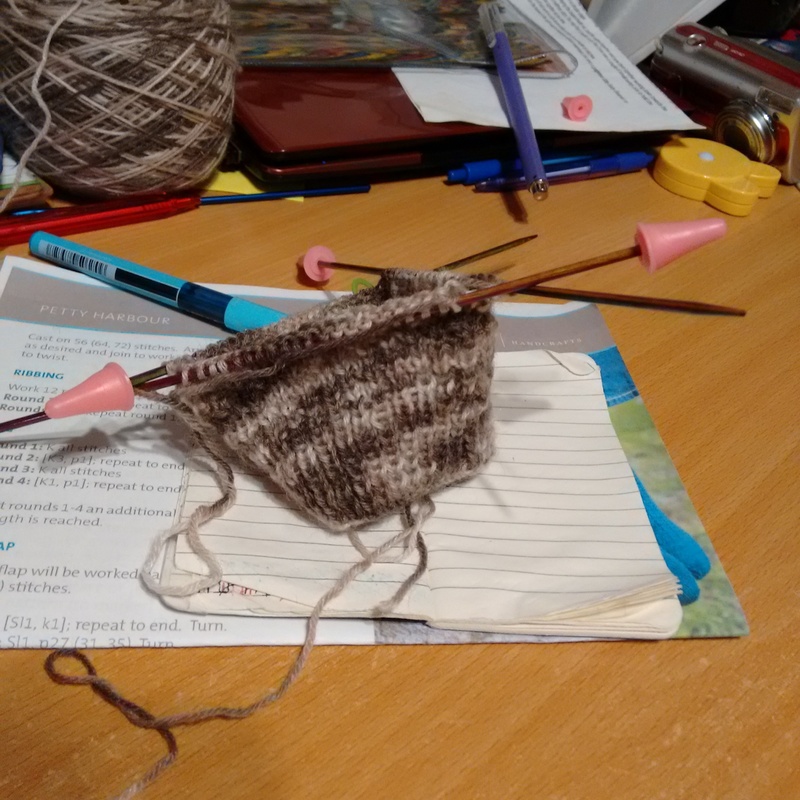 I have been having a lovely time of knitting-not-knitting. Which is to say, I -am- knitting, but it took a lot of not-knitting to get to that point. Even though I had i mind to do start my next big project in the form of my Hobo top, I also had a hankering to make myself a pair of socks. 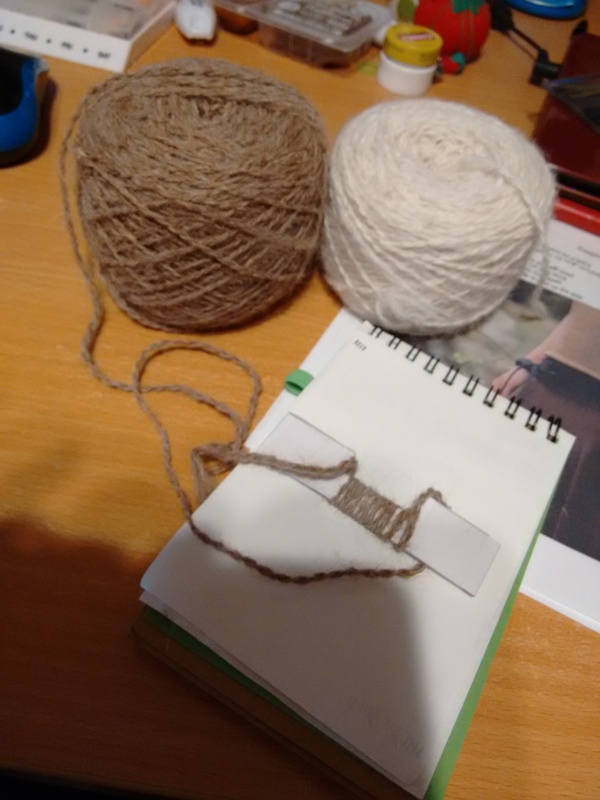 One of my dear friends had sent me some alpaca wool from her neighboring alpaca, and I’ve been itching to do something with it since I got it last year. 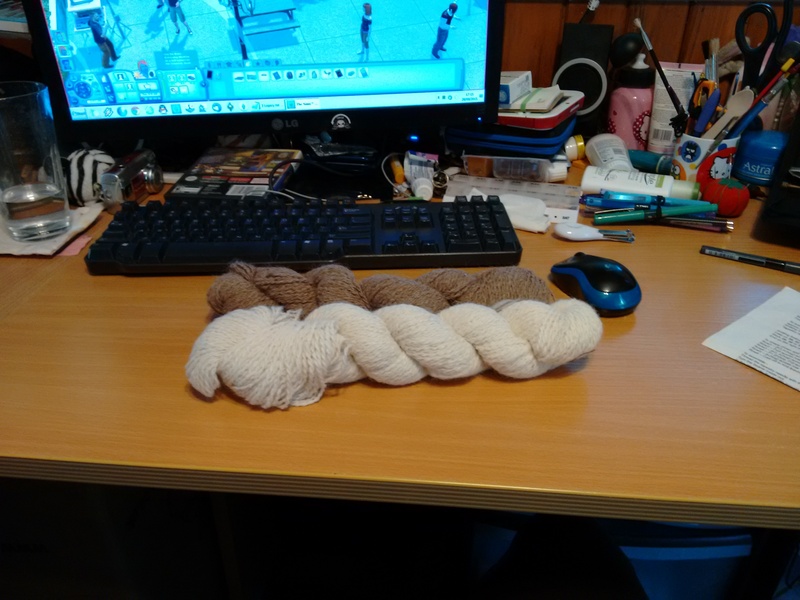 I presumed it was 4-ply since it seemed too thin for DK, and proceeded to cast on… only to realise that it was definitely not 4-ply and that I really needed to do a wraps per inch (WPI) test (pictured center). I’ve got a couple of bits of cardboard floating around my desk where I cut an inch wide gap to wrap around, and that seems to work best for me. And yeah, once I did it, it was obviously DK, so I set it aside as the pattern I wanted to do was a 4-ply pattern. Now, I have loads of randomly acquired 4-ply filling up a drawer, to include some that I bought way too much of for other projects. From that pile, I immediately dived for my King Cole Zig Zag, which I hadn’t actually realised zigged or zagged until last night (picture above right). Oh yes, and what was the pattern that called to me? It was Petty Harbour by First Light Handcrafts. Having said that, I’m a total masochist for doing it, as this go at sock-making seems to be cursed from the first. I somehow had an extra stitch for a few of the first rows, I dropped stitches any time I tried to do the ‘right’ thing and shift them between needles to prevent runs, which in turn caused issues that don’t seem to actually exist if I leave my stitches be. Thankfully, between the pattern being busy, and the wool being busy, it’ll probably be okay. *chuckles* And by ‘busy’, I mean that I’ve had to pick back about half a dozen rows a row at a time because I made a mistake in the pattern rows and didn’t realise until the end of the row. Triple sigh! 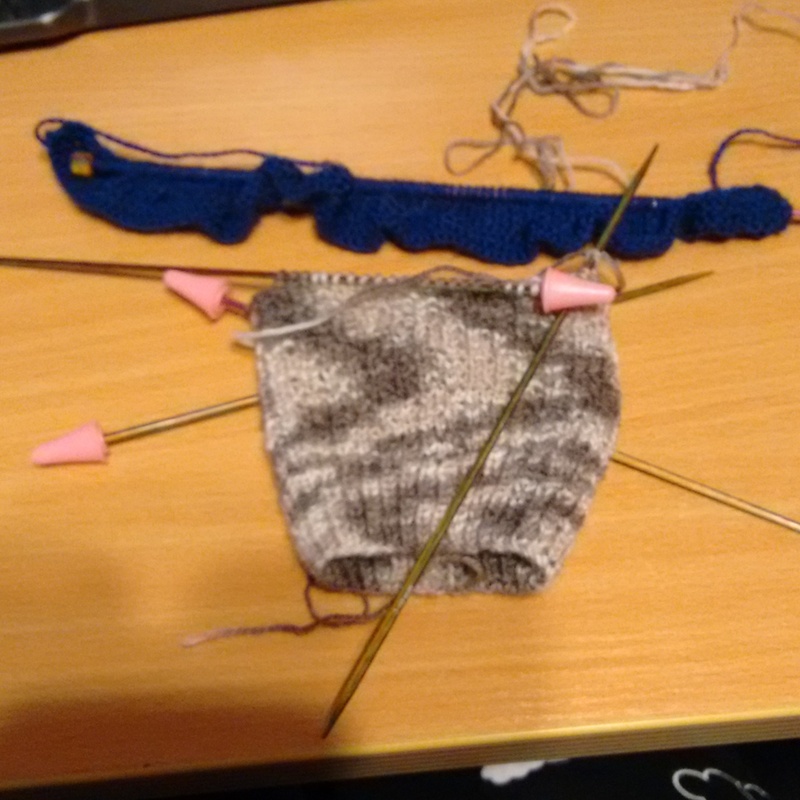 I’m enjoying it though, even if it feels like I’m knitting with toothpicks (though the socks are on 2.5mm needles, while toothpicks are all of 2.0mm in diameter). 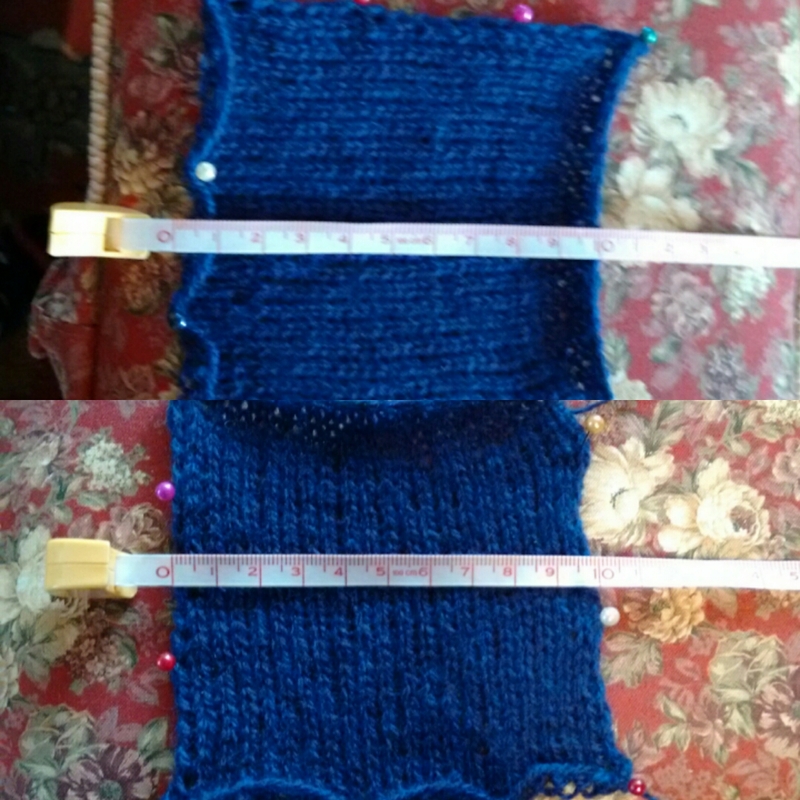 Now, the top was causing a lot of not-knitting in advance of doing it. Why? 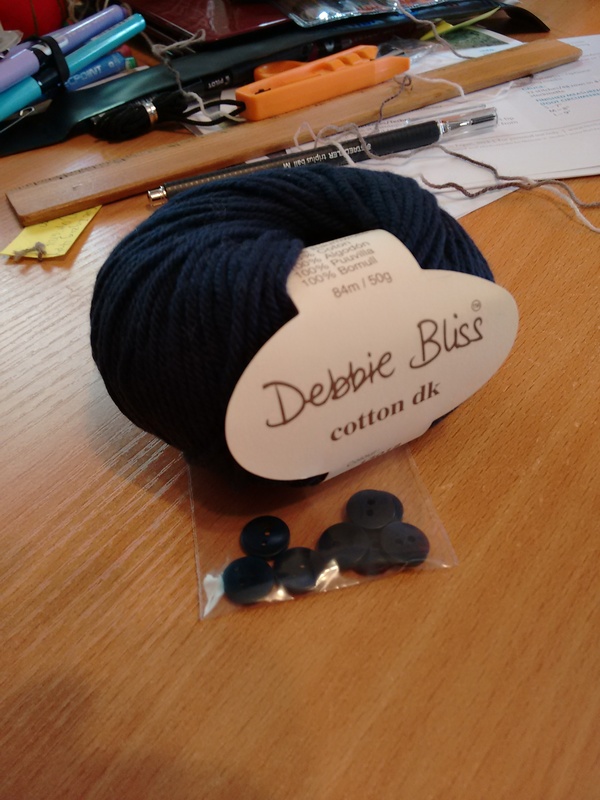 Because I bought the wrong sort of wool. 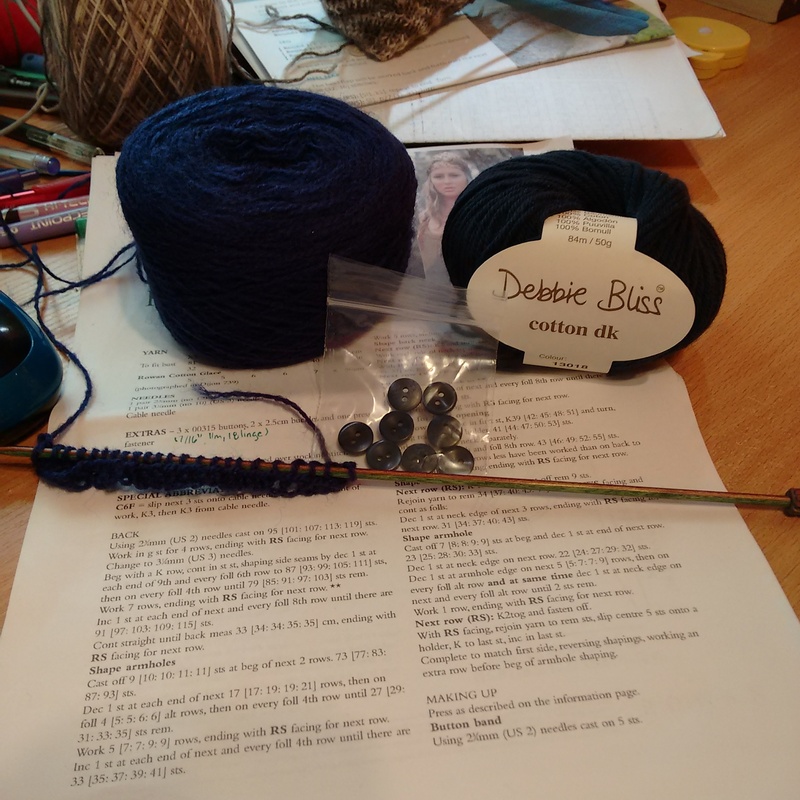 I could have sworn up and down that I had found a reasonable yarn substitute for the Rowan Cotton Glacé the pattern called for in the form of Debbie Bliss Cotton DK, which I believe was on sale on Deramores when I was hunting for a reasonably priced wool substitution. Of course, if I had double-checked the tension of the Rowan and the Debbie Bliss, I would have seen they were miles apart. Whups. 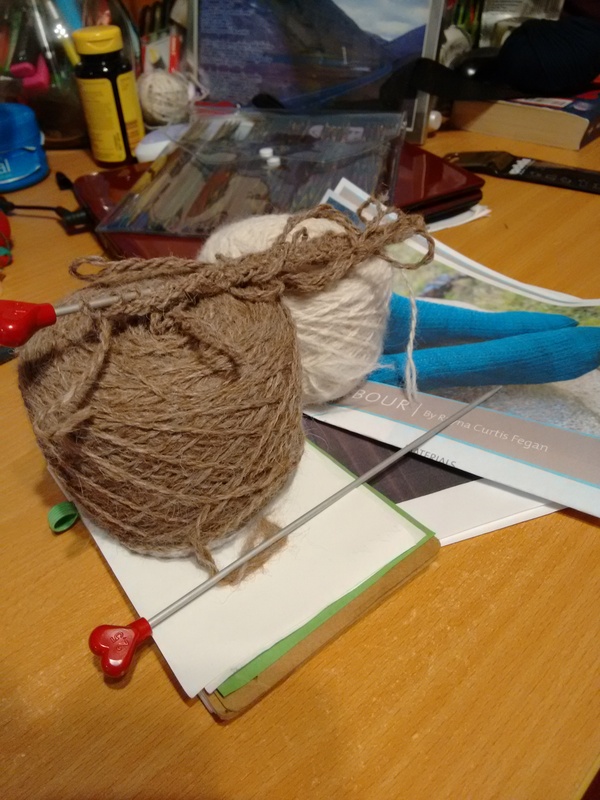 Thankfully, I had some mystery wool in my stash that I was pretty sure was a good match, and as you can see from the tension square, it was! And to make things even nicer, I think it’s real animal fiber. 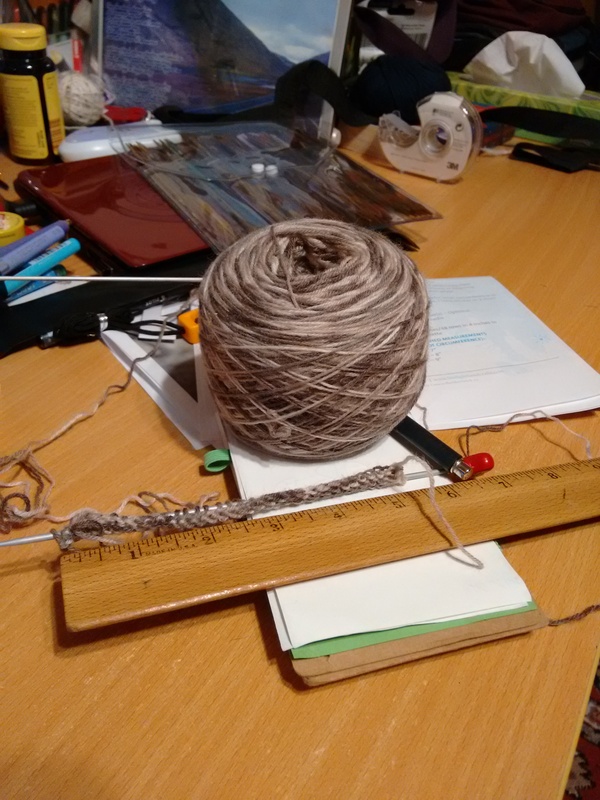 I did a burn test, and it seems to tick the box for wool/mohair/alpaca/etc. I’m tempted to burn a little bit more to double-check, but really. I like the way it feels, I’m using it to make something for me, and that’s that. I’m in that annoying spot of not knowing quite what I want to play, so I’m cycling through a different couple of games. I started a new Sims 3 legacy game, but got bored about four generations in. I rolled up a new Minecraft map to play with my husband if we ever get a child-free chance, which was fun. I only played enough to get basic supplies available, and to locate a likely cave to explore, and then switched to another map and doddered around a bit. But Minecraft and knitting don’t blend that well since they both take hand activity, so I’ve got up Serf City for the moment. Because my brain apparently must have a game up at all times to be happy. I’ve also been playing a touch of Dragon Quest IX, but got bored while doing a quest and put it aside too. I laugh — I’m spoiled for choice, and yet none of the choices have lasting appeal of the moment. So it sometimes goes.